We welcome dogs and cats of any size, shape and, ahem….weight. 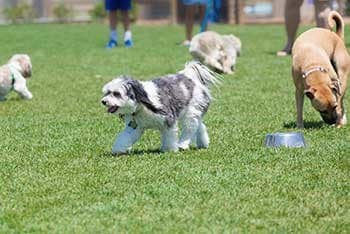 For those pets that may need to lose a pound or two, we will have the pet park and agility space. Your new apartment home will include a 10,000 square-foot clubhouse housing spas for both you and your four-legged friend. Although we allow larger breed dogs, we limit some breeds that may live at Silver Collection at Carl D. Silver Parkway. Please contact the leasing center for specific information about aggressive breed restrictions. Because we are located within a wonderful mixed-use community, Silver Collection at Carl D. Silver Parkway offers miles of walking and jogging trails and sidewalks. You and your best friend will enjoy hours of exploring.